Although there’s no such thing as a free lunch, it doesn’t have to cost an arm and a leg to visit one of over 400 national parks and monuments across America. There’s no shortage of accessible freebies — from free admission and tours, to special programs and even transportation — but the key is knowing about them, as some deals are not widely publicized. With that in mind here are ten ways to trim your budget on your next national park visit. US Citizens with a permanent disability can get a free Access Pass, which is good for free admission to all national parks, recreation sites, national monuments and wildlife refuges. Passes can be obtained at entrance kiosks, with proof of citizenship and disability. The pass also offers a 50% discount on campsites and boat launch fees. Active members of the military can also get a free annual pass by presenting their Common Access Card or Military ID (Form 1173). This pass is available to members of all branches of the military — including reservists and National Guard members — and it has the same benefits as the Access Pass. If you’re traveling with someone who can’t walk very far, check with the park visitor center, as many times they have free manual wheelchairs for loan. 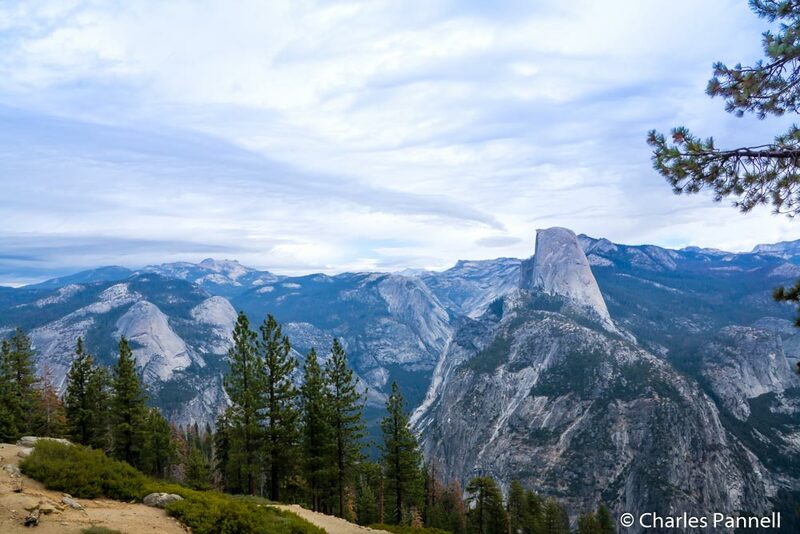 Some national parks offer free tours on a first-come basis. Over in Zion National Park visitors can take a free 90-minute ranger-led bus tour of Zion Canyon. Seats are limited and can only be reserved in person at the visitor center, up to three days in advance. It’s always a good idea to inquire at the visitor center whenever you visit a park, as that’s how you’ll discover freebies like this. While we are on the subject, rangers are also an excellent source of free information, so don’t hesitate to ask them for specific suggestions. On one visit to Yosemite National Park, a ranger clued me in that Washburn Point was an excellent stop for wheelchair-users. This information wasn’t in the park newspaper, but the ranger knew because her brother was disabled. Take advantage of the free shuttle buses in many parks, as they will save you time and frustration. For example, in Bryce National Park parking is limited along the main park road, but folks that take the optional shuttle bus dodge the parking hassle and have more time to enjoy the park. Additionally, all Bryce shuttle buses are wheelchair-accessible. If you spend the night in a national park, grab the family and head over to the free campfire program after dinner. It’s a good way to learn about the park and have a little fun. And you don’t have to camp to participate. If you have kids in tow ask about the junior ranger program at the main park visitor center. To become a junior ranger a child has to complete activities in the free junior ranger activity book, then have them checked by a ranger. If all goes well, they are sworn in as a junior ranger. It’s a fun way to encourage kids to learn about the natural environment while they explore a park. If you have a fourth grader in the family you’ll also be able to save some money with the Every Kid in a Park Initiative, which gives fourth graders a season pass for free admission to all the national parks. Last but not least, everybody gets free admission on national park free entrance days. These include National Public Lands Day (late September) the first day of National Parks Week (mid-April), Veterans Day and Martin Luther King Jr Day.